Richard J. Marquis, 68, died at his residence in Dunnellon on Wednesday, August 8, 2018. He leaves behind his son, Shawn Marquis (Natalie), Ocala, FL; his daughters, Kelly Reid, Jacksonville,FL, Erin Volpe (Matt), St. Augustine, FL; his sister, Michelle Petraca (Louis); his grandchildren, Sean Reid, Nicholas Reid, Noah Reid, Shelby Reid, Dylan Volpe, Rayfe Marquis, Breyden Marquis, Maddison Volpe and great grand- child, River Reid,and the mother of his children, Suzanne Marquis to whom he was married for 38 years. Richard was born in Woonsocket, RI on December 28, 1949. He was the son to the late Joseph and Francoise (St. Germain) Marquis. He grew up in North Smithfield, RI and attended Mt. St. Charles Academy in Woonsocket. Growing up he was a Boy Scout and later became an Eagle Scout. At nineteen years old he enlisted in the United States Air force during the Vietnam war and was stationed in Korea and finished his time in Plattsburg, NY. Following the military he eventually settled down in Woonsocket, Rhode Island where he worked as a Master Carpenter as owner of Kress Construction. In 1989, Richard moved to Dunnellon and continued with Kress Construction until he decided to study Computer Art Design and started working for A&N Corporation in Williston up until his death. He had a gift of art and creativity and there wasn’t anything he couldn’t design or build. 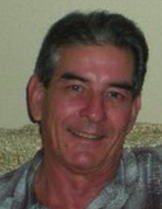 Richard was an avid fisherman who enjoyed kayaking and cooking. Almighty Lord, on the road of life the mysteries of your will and what is allowed to come into our lives can be difficult to understand and deal with. May your Holy Spirit be actively working in our lives regardless of the circumstances we endure. Father, may all praise and glory and honor be given to you today as we learn to trust, surrender, rest and obey you. May Richard’s soul and all the souls of the faithful departed through the mercy of God rest in eternal peace. Amen. Memorial contributions can be made in Richards memory to the Boy Scout Troop 72: P.O. Box 849, Ocala, FL, 34478-0849.